This is a rectangular Texaco Marine Lubricants porcelain sign. 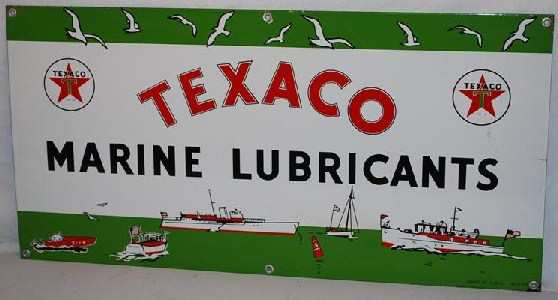 This particular Texaco Marine Lubricants sign is predominantly green and white with red and black text. It reads, “Texaco Marine Lubricants” and features several boats at the bottom and white flying birds at the top of the sign.